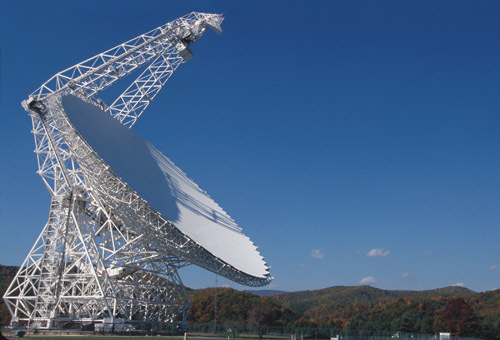 In August of 2017, the Listen science team at the University of California, Berkeley SETI Research Center observed FRB 121102 for five hours, using digital instrumentation at the GBT. Combing through 400 TB of data, they reported (in a paper [pdf] led by Berkeley SETI postdoctoral researcher Vishal Gajjar, recently accepted for publication in the Astrophysical Journal) a total of 21 bursts. All were seen within one hour, suggesting that the source alternates between periods of quiescence and frenzied activity. Additional FRB research may provide clues about whether or not they are signatures of extraterrestrial technology. More at UC Berkeley news: "AI helps track down mysterious cosmic radio bursts"